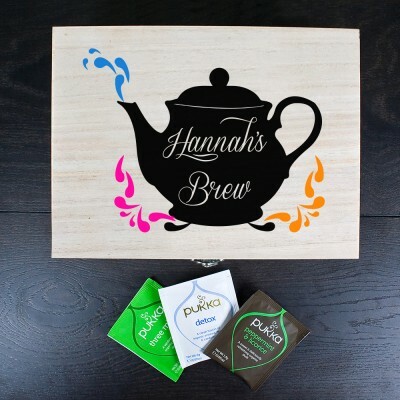 A delightful wooden box filled with their favourite teas. Made from pine and personalised with name and a message inside of the box. The word 'Brew' comes as standard.